With almost two months down we’re long overdue an update. If you’re already on our mailing list you’ll have heard most of this via our first newsletter a couple of weeks back and if you’ve not signed up then here’s the link. So why the update. Why now? Well things are really starting to get somewhere. We’re accelerating. 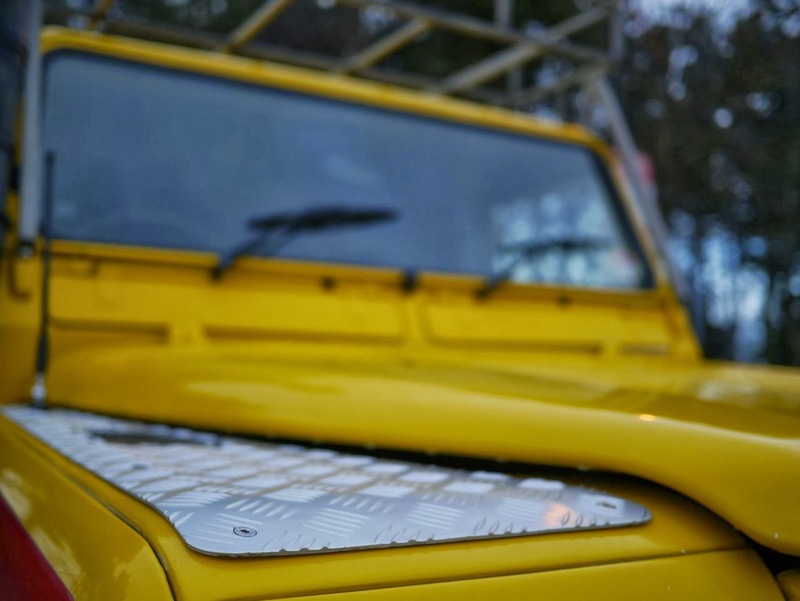 A couple of weeks ago we picked up the wheels for ‘mobile Bertha’, the perfect grey Land Rover Defender. Okay, she's yellow. Very yellow. But yellow’s also Kate’s favourite colour and we may as well stand out at the markets. Some things are clearly meant to be. It amuses me that my very first car is a two tonne Land Rover to which we’ll be adding an additional half tonne of oven. After collecting her from Birmingham we drove the 180 miles to Essex where we’re having our oven fitted by the excellent Dragon Ovens. Turns out life in a Landy moves at a slower pace. She has the aerodynamics of a shed. But having settled into a steady 60mph it was a fun drive. We now have a month or so of oven fitting ahead of us giving us time to finish the branding, order all the equipment, complete the food hygiene requirements and quit the day job. Exciting times. What do you think of the logo by the way? 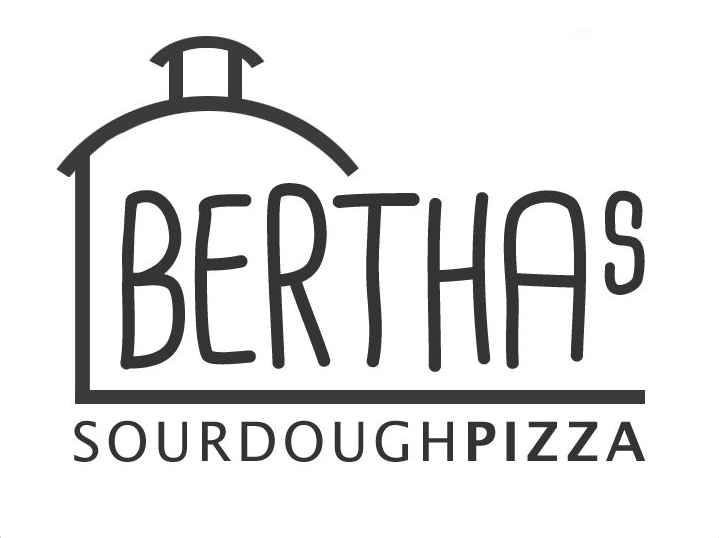 We like that at the heart of it is the outline of the original Bertha. Where all this started. So like I said, we’re getting there and hope to make you a pizza soon. We’re currently speaking to various markets and smaller festivals about arranging spaces. We also want to be involved with charity and community events and have a couple of exciting pipe dreams in mind where the focus will be on giving back. We’re keen to meet more of our suppliers, watch this space for more videos, I promise not to use the Mario theme tune again. And if you or any of your friends happen to be looking for a caterer to provide wood fired, sourdough pizzas then get in touch.